Join us on Sunday, June 22nd for our monthly meetup of female craft beer enthusiasts, which will be hosted at Bottles & Cans by Co-Owner Carly Katz. 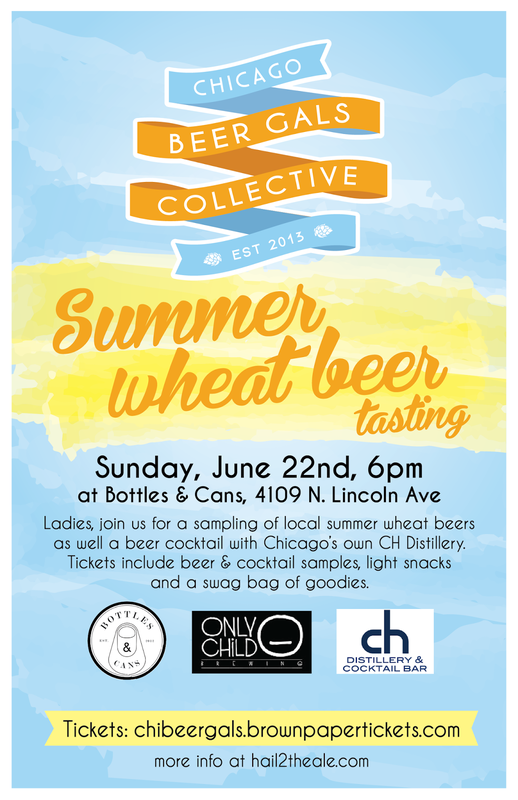 We will feature a tasting of local summer wheat beers, as well as a summer beer cocktail featuring CH Distillery. Tickets include sampling of beers, sampling of CH Distillery offerings, light snacks and a swag bag of goodies.